I like to think of vision boards as a visual inner compass; it’s a creative way to help you focus on who you want to be and what you desire your life to be. 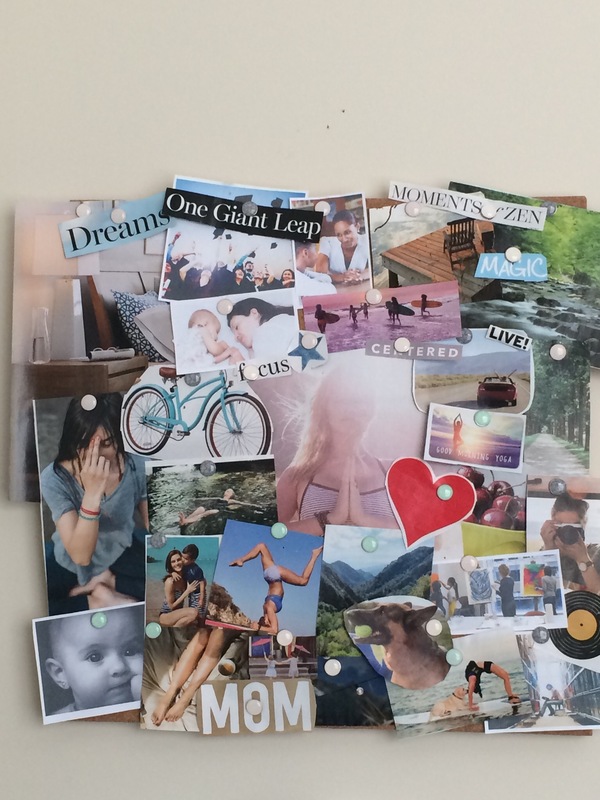 Vision boards can help you see your goals and achieve them. Assigning an image to the goal (or multiple goals) makes it feel more attainable. It’s no longer a thought floating around in your head; it’s real and has meaning. If you can’t see the goal, how do you know where to begin or where you’re headed? And when you finally get there, how will you know you’ve arrived? 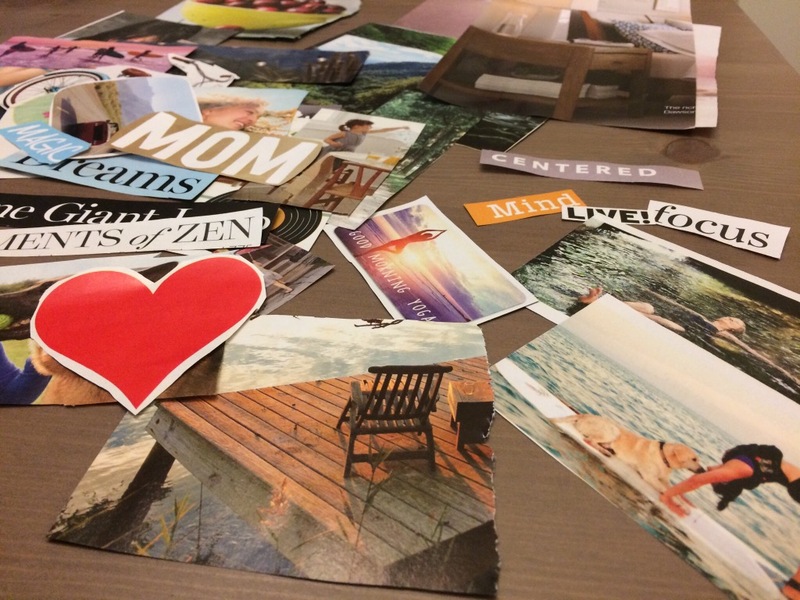 I started creating vision boards about 8 or 10 years ago, when my therapist introduced me to the process. She didn’t refer to it as a vision board necessarily; rather, it was like drawing a map of your subconscious mind. The process involved flipping through a stack of magazines and tearing out anything that sparked something in me. You’re not supposed to question your selection or hesitate before ripping it from the pages. It’s supposed to be a free-flowing process. No second guessing. No questioning. At the end, you glue the images to a piece of paper or poster board or you can paste the images to your canvas as you collect them. Then you sit back and analyze what you see. I found the experience freeing and eye-opening — and at times surprising. Objects appeared on the board that tappped into parts of my subconscience that hadn’t been unearthed. Seeing my completed vision board was always an “a-ha” moment. Our busy lives create busy minds that prevent us from connecting to ourselves and listening to what our hearts truly desire. Vision boards help us pause, take a deep breath, and dive into our subconscious minds to discover what we truly want in our lives. Creating a vision board is a very meditative process. It quiets the mind. (I recommend doing the exercise in silence so that you can fully immerse yourself in the process and limit distractions.) The experience feels similar to painting or writing or wandering through nature snapping photos. You get in “the zone.” Hours glide by without noticing. Although you can create a vision board at any point in your life, I find I gravitate toward vision boards after I’ve undergone something life changing or I am in the middle of something that feels life-altering. (It’s definitely been one of those years.) I recently decided to create a vision board after reading life coach Martha Beck’s “Steering by Starlight,” a fantastic book about finding your destiny and how you can guide yourself to that destiny. She calls her vision boards “pictorial star charts,” a collection of images that represent the vision for your life. In her version, you can tear images from magazines, but she also recommends printing images from the internet if you have a specific goal in mind. Once your star chart is complete, she suggests closing the activity with a “spell” or a prayer. Some sort of statement that you send out into the universe. She likes to start her statement with one simple word: “Thanks.” It’s “gratitude for what you’ve received (in the future. )” I love that concept of believing you will receive what you put out into the world. Already imagining that you will obtain your destiny gives hope. Beck says that most of the time her clients’ charts come true, sooner than they had imagined. The vision board I created is a combination of the approaches by Beck, my therapist, and author Julia Cameron, who briefly shares her thoughts on the practice in her book, “The Sound of Paper.” Definitely worth checking out. Below are my step-by-step instructions to take you through the process of creating a vision board. Set aside an hour — two if you really want to dig in deep — and unlock your subconsciousness. Ready. Set. Go. 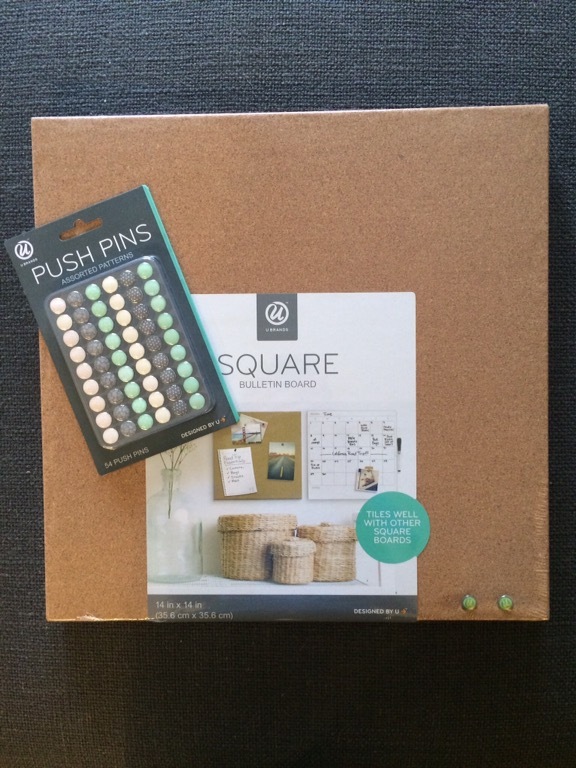 I picked up this square cork board and the dry-erase board at Target for $9.99 each, along with some fancy push pins for under $3 (also a Target find). I liked the idea of hanging my vision board in my office with my “statement” written on the dry-erase board underneath. You can also use a plain sheet of paper or poster board or a small canvas and glue the images to the material. Aim for a good variety of about 12 of your favorite used magazines. 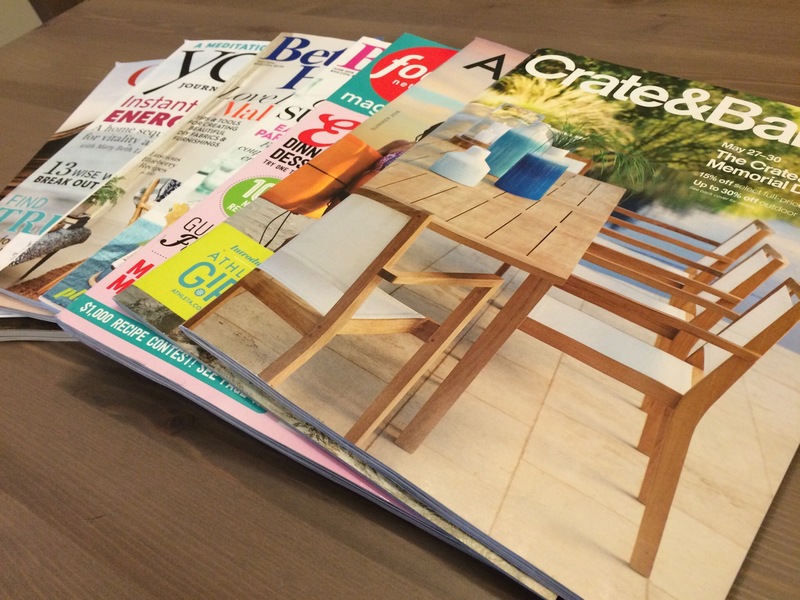 As you flip through the pages, tear out any images that ignite a positive response. Anything that evokes feelings of freedom, pure joy, etc. It’s usually the images that cause you to pause that you should tear out. Don’t question why you’re gravitating toward that image; it will all become clear later. 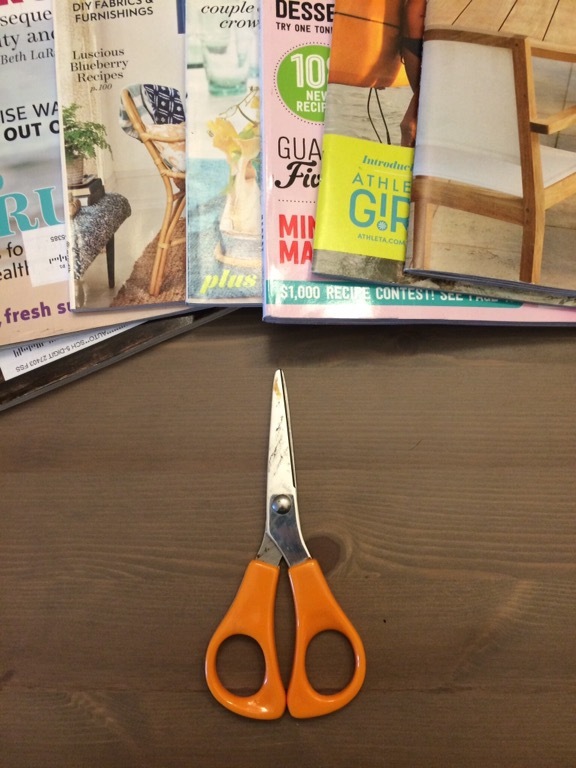 You can use scissors to cut out your images or for those of you who desire a more “freeing” experience, use your fingers to gently tear the inages from their pages. Feel free to rip out any words that grab you, too. Now comes the fun part. Pin (or glue if using paper) the images to your board. Try not to edit yourself during this process. Let your intuition guide you as you place the images on the board. Again, don’t question or try to analyze your board until it’s complete. Take a step back from your masterpiece and for 5-10 minutes observe what you’ve created. Journal about what you see. Here are some questions you may want to ask yourself. What sort of themes emerge? What do the images have in common – if anything? If you could give the piece a title, what would it be? Once you feel like you’ve fully explored your board, write or say “thank you” followed by your statement/affirmation/prayer. 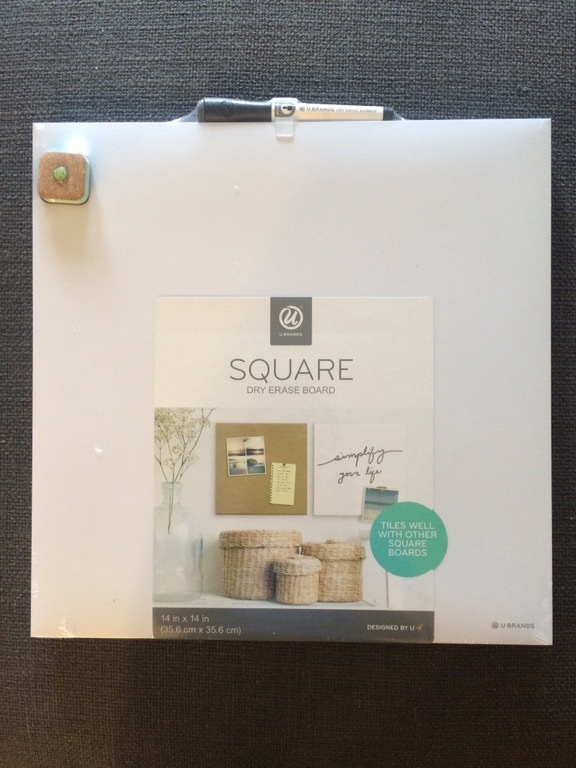 Place your vision board somewhere in your home where you’ll see it every day. Then sit back and enjoy the journey. I feel as though I’ve been absent for some time now. The thing is, September and October were a complete blur for me and my need to write was extinguished by a series of, well, craziness. We packed, we moved, we unpacked. Then, I discovered I had not one but two ovarian cysts. This news was followed by a brief walk through a patch of woods that left me covered front to back with poison ivy for three weeks; it was a nightmare. And then, my dog chased a squirrel into the woods and got speared by a tree branch in the process, resulting in a puncture wound and emergency surgery. My poor girl. In retrospect, these series of events could have been great fodder for blog posts, but I’ve been unable to create lately. I’ve been feeling blocked. And if I’m being completely honest with myself, I haven’t been feeling like this for just the past two months; it’s more like the last year – or longer. I’ve journaled about it, reflected on it, read books and articles on the topic, but I could not figure out what was at the heart of this creative wall. To help me uncover what was at the core, a few weeks ago, I turned to an online writing series facilitated by friend and poet Jacinta White. Becoming Undone: Unpacking Life’s Weight helped me identify the things in my life that are weighing me down and keeping me from moving forward. 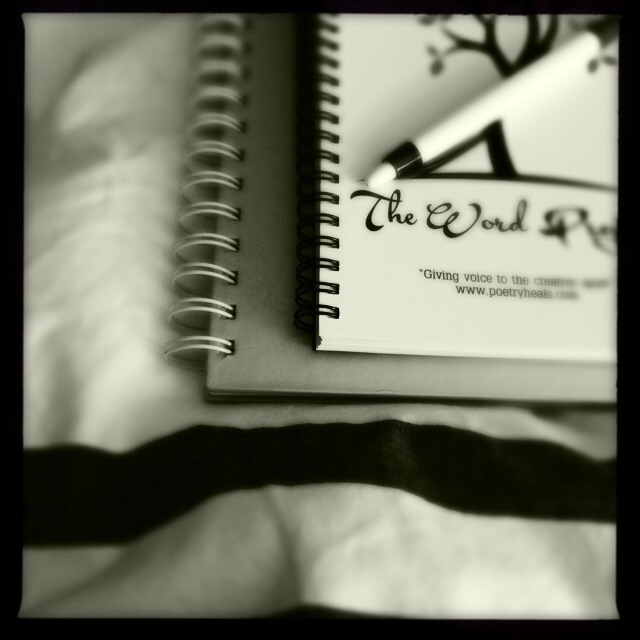 My “A-ha” moment came during the first writing prompt, where we had to write a list poem that began with the line: “Daily I carry … ” Without hesitation, guilt was the first word I scribbled in my notebook.